Can you Find the Panda ? Can you Find the Panda in the below Christmas festival scene ? Lets see who can find the Panda in less time. 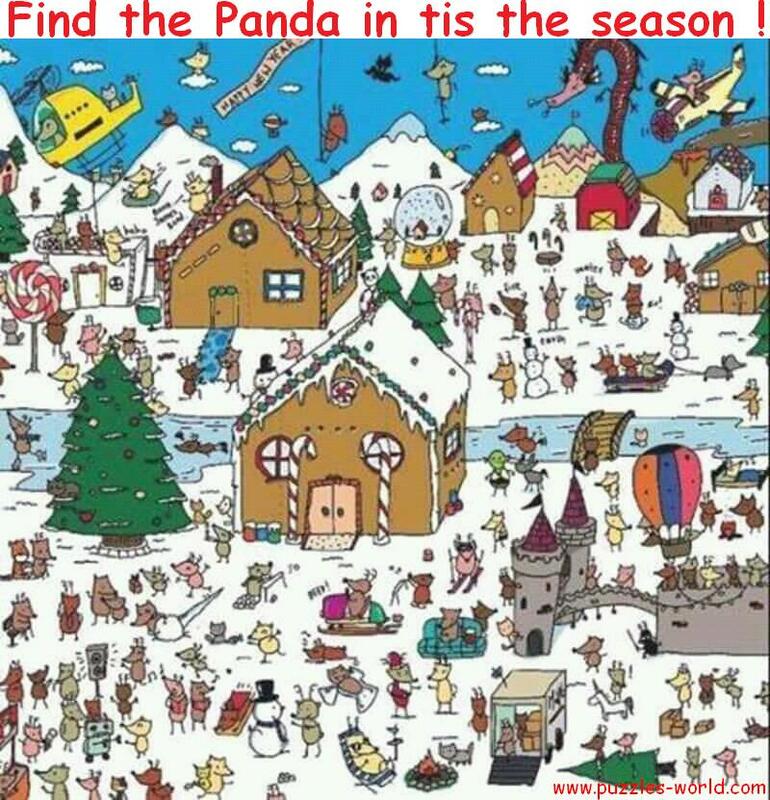 Share the image with your friends and family and see who can find the panda quickly. Find the Panda in the circle drawn below.